This article is concerned with the following rational difference equation y n+1= (y n + y n-1)/(p + y n y n-1) with the initial conditions; y -1, y 0 are arbitrary positive real numbers, and p is positive constant. Locally asymptotical stability and global attractivity of the equilibrium point of the equation are investigated, and non-negative solution with prime period two cannot be found. 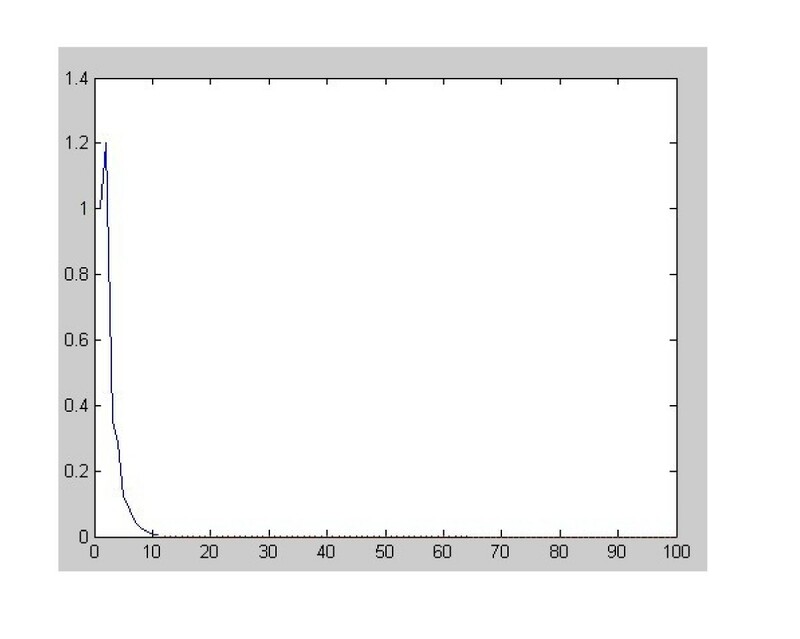 Moreover, simulation is shown to support the results. with initial conditions y -1, y 0 ∈ (0, + ∞), p ∈ R +. Let us introduce some basic definitions and some theorems that we need in what follows. we have , for all n ≥ - k.
The equilibrium point of Equation 2 is a global attractor if for all x -k , x -k+1, ..., x 0 ∈ I, we have . The equilibrium point of Equation 2 is globally asymptotically stable if is locally stable and is also a global attractor of Equation 2. The equilibrium point of Equation 2 is unstable if is not locally stable. Moreover, suppose p 2 > 0, then, |p 1| + |p 2| < 1 is also a necessary condition for the asymptotic stability of Equation 4.
g(x, y) is non-decreasing in x ∈ [p, q] for each fixed y ∈ [p, q], and g(x, y) is non-increasing in y ∈ [p, q] for each fixed x ∈ [p, q]. Then, there exists exactly one equilibrium of Equation 5, and every solution of Equation 5 converges to . Assume that p > 2, then the equilibrium point of Equation 1 is locally asymptotically stable. Assume that 0 < p < 2, then the equilibrium point of Equation 1 is locally asymptotically stable, the equilibrium point is unstable. It follows by Lemma 2, Equation 7 is asymptotically stable, if p > 2. 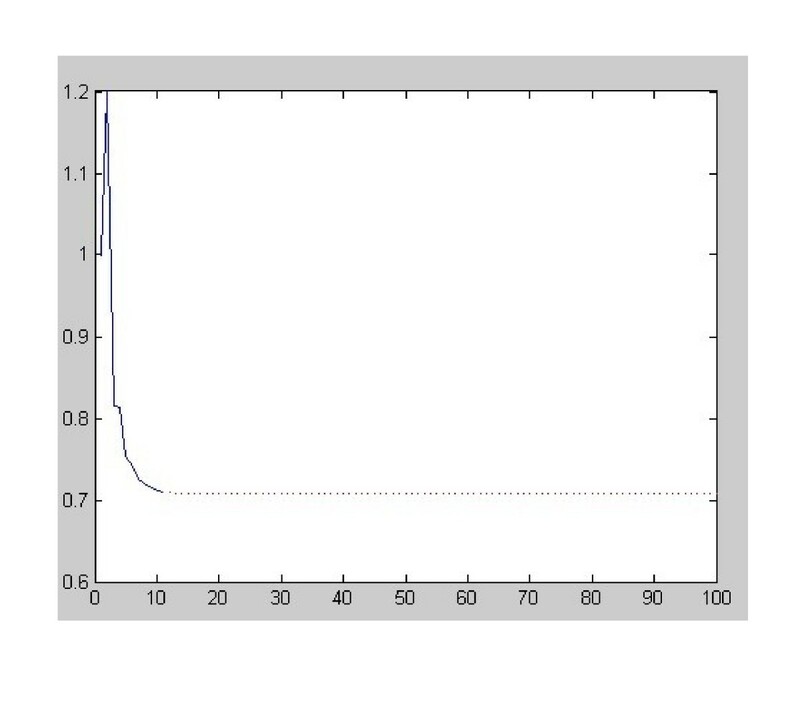 Equilibrium point is unstable, it follows from Lemma 2. This completes the proof. Theorem 2. Assume that , the equilibrium point and of Equation 1 is a global attractor. Proof. Let p, q be real numbers and assume that g:[p, q]2 → [p, q] be a function defined by , then we can easily see that the function g(u, v) increasing in u and decreasing in v.
M = g(M, m) and m = g(m, M). Lemma 3 suggests that is a global attractor of Equation 1 and then, the proof is completed. Theorem 3. (1) has no non-negative solution with prime period two for all p ∈ R +. is a prime period-two solution of (1). so φ = ψ, which contradicts the hypothesis φ ≠ ψ. The proof is complete. We can present the numerical solutions of Equations 13-15 which are shown, respectively in Figures 1, 2 and 3. Figure 1 shows the equilibrium point of Equation 13 is locally asymptotically stable with initial data x 0 = 1, x 1 = 1.2. Figure 2 shows the equilibrium point of Equation 14 is locally asymptotically stable with initial data x 0 = 1, x 1 = 1.2. 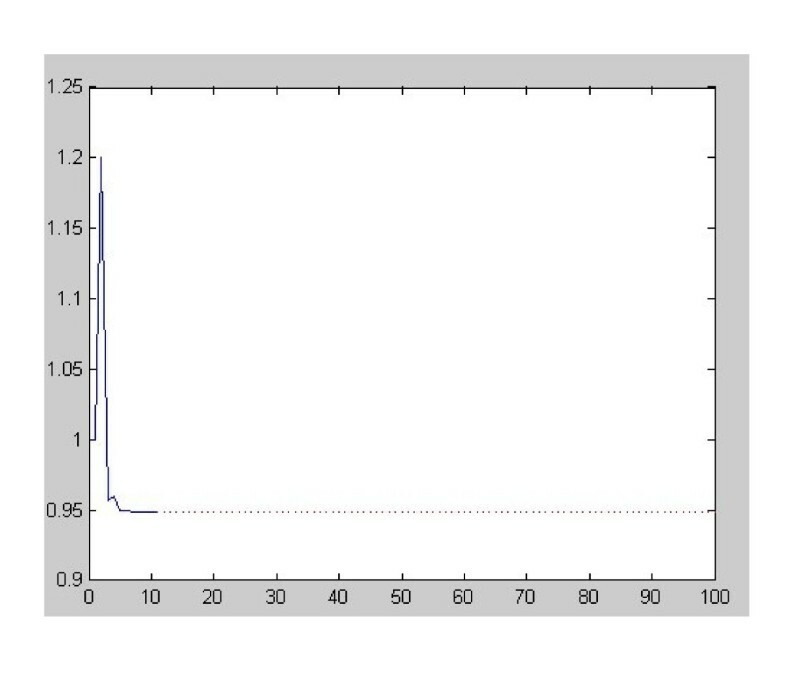 Figure 3 shows the equilibrium point of Equation 15 is locally asymptotically stable with initial data x 0 = 1, x 1 = 1.2. Xiao Qian carried out the theoretical proof and drafted the manuscript. Shi Qi-hong participated in the design and coordination. All authors read and approved the final manuscript.